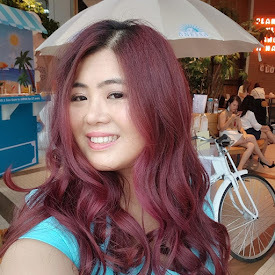 Few months ago, I was approached by NOPS (which stands for Natural Organic Plants) a Korean brand that known for natural, enables of sustaining healthy skin condition as well as nourishing sufficiently.The 3 concepts of NOPS are to bring you a healthy and beautiful skin, good for all skin types and using organic ingredients in their products. NOPS have entered into Malaysia market early this year and currently having their 1st flagship store in Sunway Pyramid. Double functional cosmetics certificated from KFDA for whitening, moisturing and anti-wrinkles. It takes care of the rough and crisp skin, prevents moisture evaporation for better moisture and bright complexion. KFDA certification on whitening & anti-wrinkles function. 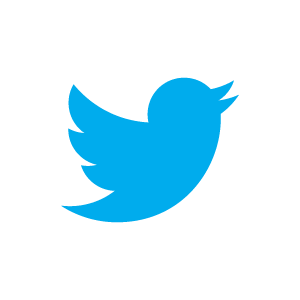 Smell : A pleasant strong smell which I don't know how to describe. But was told that their ingredients are 100% plants . A little bit difficult to absorb, therefore tapping motion is recommended. 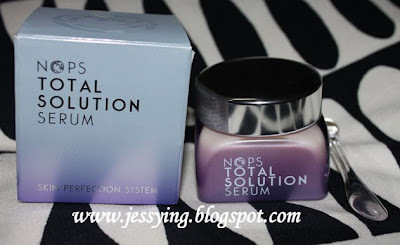 I used this Nops Total Solution Serum for around 2 weeks plus after my usual toner After skin and took a spoon ( like the fact that they gave a spatula an its hygienic) out to apply it over the face. I tapped on my face after applying it for better absorption. My face does feel moist/hydrated after application however my face feel slightly sticky & rich with the serum when I used it on the day time, but it felt pretty nice if I were to put on this serum at night before sleeping in air-condition room. 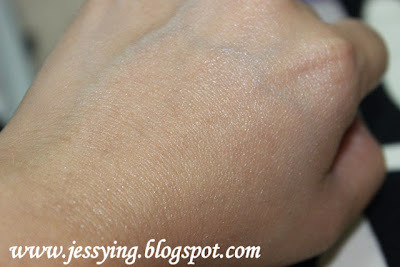 But I have not see any whitening/brightening effect yet as the product claims and maybe I need to use it longer. This NOPS Total Solution Serum is selling at RM120 for 60ml , I would think quite a worth of money for such a big jar and to improve my hydration level on my skin. 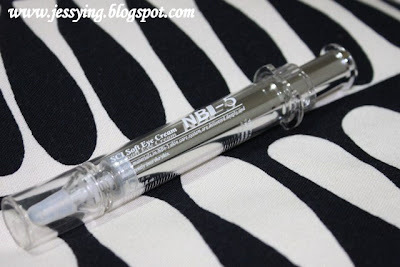 SCI Soft Eye Cream NBI-5 is selling at RM140 for 10ml comes in a form of plastic syringe, except here you pump the cream out on your finger tips before applying on your eyes area:) This product comes from Stem Cell Nano Range under NOPS. I was told this eye cream will be able to provide skin elasticity and skin tightening as it includes Adenosine which is also effective e for anti-aging. I was told that this product was made using nano technology which means the product molecules is very small and is has better for absorption. Review : I use this with care because it comes in cream texture. I massage it using my fourth finger until its fully absorb. It is slightly sticky, but it does not bother me. As I do not have any fine lines on my eyes area yet (thank god for that!) , I can feel that the eye cream keep my eyes area pretty hydrated. And as you may know, dehydrated skin will caused the skin to have fine lines. And this eye cream is one of the most "scientific looking" beauty product I ever own :D And actually I did like how the syringe works, as each small pump is good enough for both of my eyes . 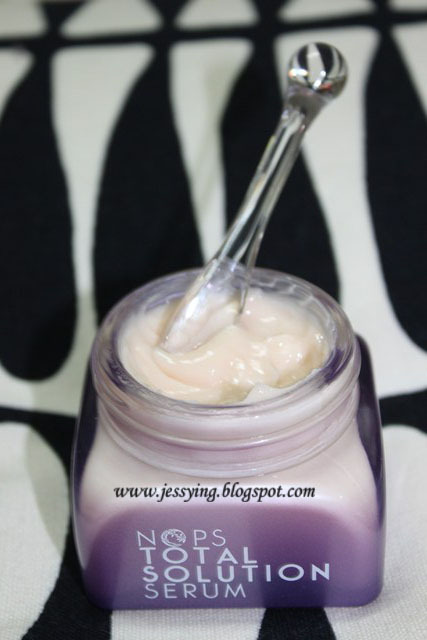 Note: The above both products are provided by NOPS Malaysia for review purposes in this blog. This is a good review, will check out among the many Korean brands in the market.